There are several iPad keyboard accessories that add more functionality to the tablet, but none have been really able to turn it into a laptop--until now. 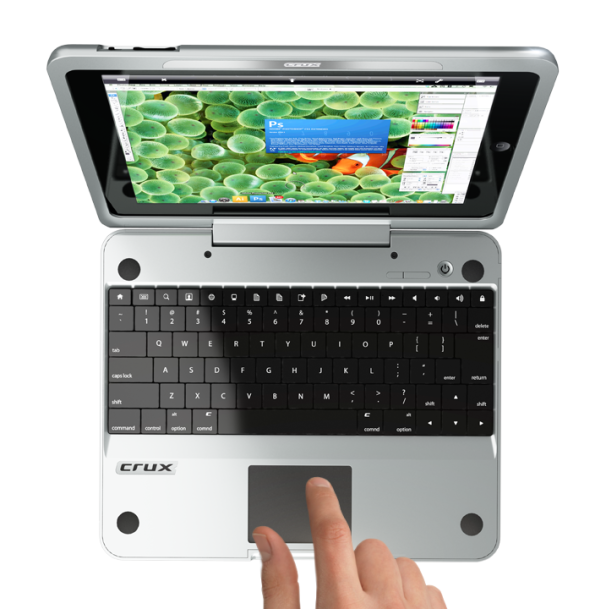 The Crux Loaded clamshell case, which will be available in the fall, adds a keyboard, trackpad, and an external battery into the base for a laptop-like experience. 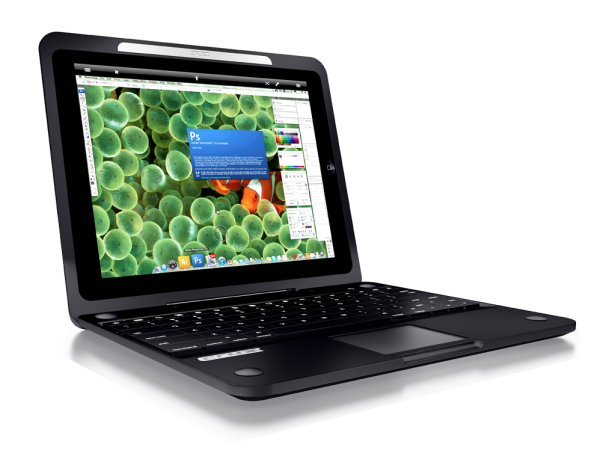 Considering the $249 price and the cost of the iPad to begin with, you're also paying laptop-like prices. The Crux product website says this case is the first iPad case to feature a remote-Bluetooth trackpad and additional external battery. The extra battery should give you 7.5 more hours of usage. With the remote trackpad, you may also be able to control your computer using the iPad--view your computer's desktop and use any of its programs remotely. Bringing your home desktop (or a real laptop) to your iPad screen could make your iPad much more functional. You'll need a $30 remote desktop app to do that, however. Other wireless keyboard cases for the iPad, such as the ZAGG Zaggmate, cost around $100--so for an additional $150 you're getting more battery life and the trackpad (which you probably don't need for iPad use alone--it does have a touchscreen). Tack on another $30 and you've got your own expensive iPad-laptop transformer.